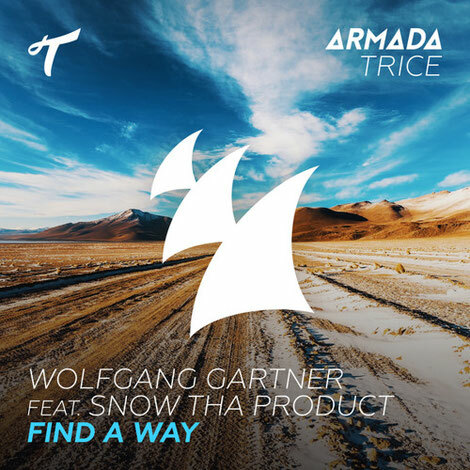 Wolfgang Gartner has teamed up with rapper Snow Tha Product on their inaugural collaboration ‘Find A Way’, which is out now on Armada Music. The bass heavy house tune is packed with wonky UK garage vibes and has a slightly retro sound about it, with Snow’s soulful vocals layered over the bassline. In addition to rapping, Snow Tha Product was also featured on the single ‘Immigrants’ off the Hamilton mixtape and will star in the next season of the USA show Queen of the South. Wolfgang Gartner: “‘Find A Way’ was an outlet for me to combine my love of UK garage and electro house to make something new, experimenting with new sound-design techniques but adding in the bleeps and blips and car alarm noises indicative of classic UK garage. “Once the music was done I knew it needed a strong female vocal - while listening to different vocalists somebody showed me a reel of Snow's solo projects and I instantly asked to book a session with her. The result is something that I hope will give people the feeling of nostalgia and futurism at the same time; the production is sort of a story of how house music got to where it is now from where it was 20 years ago. My hope is that people new to the movement can get into it just as much as those who've been into it for decades." Snow Tha Product: “‘Find A Way’ with Wolfgang Gartner was a great experience. Since we are in a time where there are no boundaries in music it’s cool to be able to collaborate with people outside of my normal genre."